Making any type of chips, especially homemade sweet potato chips, is actually easy and often healthier than buying them. You get to control what you put in, whether it’s as simple as adding salt or spices for an extra zing in each bite. Plus, you don’t have to worry about MSG or other added preservatives in your chips. This recipe is also versatile: you can switch it up and use taro for taro chips, Russet potatoes for regular potato chips, or even pumpkin for pumpkin chips, if you’re a pumpkin lover! Peel sweet potatoes. Slice thinly into rounds using a vegetable slicer. You can also use a knife if you don’t have a vegetable slicer available, just be extra careful in slicing the potatoes thin. Heat oil in a deep pan until a deep-fat fry thermometer registers 350ºF. 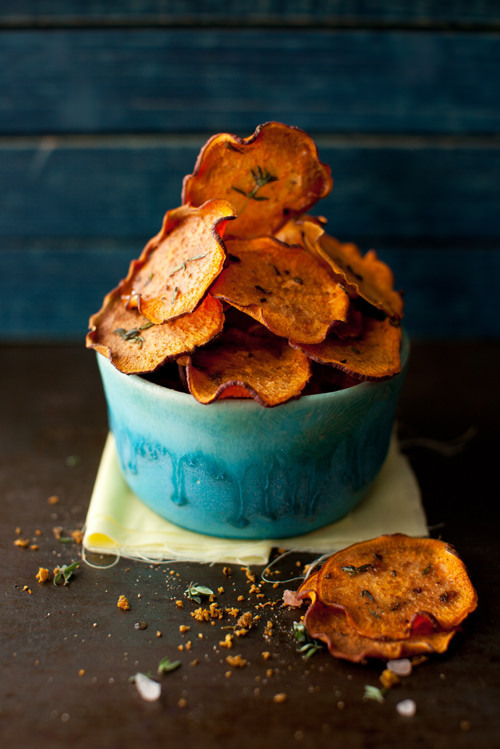 Fry sweet potato slices in batches, until golden and crisp. Cool and drain on paper towels. Make the lime salt: Combine lime zest with salt. Sprinkle flavored salt on the chips. You can purchase your potatoes in bulk at your nearest local farmer’s market. It’s cheaper and fresher than in grocery stores. You can also make a side hustle out of this! You’ll just need some clear plastic bags or a container to put in the chips, a small kitchen weighing scale to make sure you sell equal amounts of chips per serving and a sealer to ensure freshness of the product. What are your favorite chips for snack time? Let us know in the comments below!